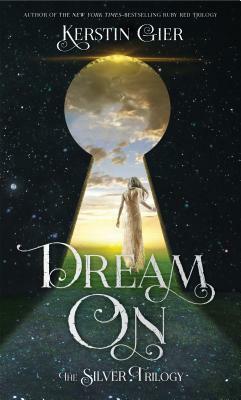 recommended for: Fans of Jonathan Strange and Mr. Norrell, Neverwhere by Neil Gaiman, Cat Winters anything, and other magical histories. In 1859, ex-East India Company smuggler Merrick Tremayne is trapped at home in Cornwall after sustaining an injury that almost cost him his leg and something is wrong; a statue moves, his grandfather’s pines explode, and his brother accuses him of madness. 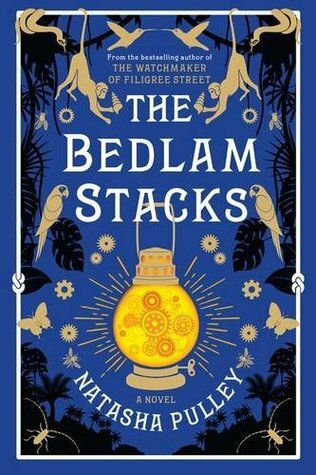 After loving The Watchmaker of Filigree Street, I had high hopes for The Bedlam Stacks. While they were not fully met, I still had a lovely time reading this book and will be happy to devour Pulley's next literary offering. Bedlam Stacks is a sharply written adventure about love and sacrifice, with a little bit of magic. The story is an important but lesser known historical phenomenon. Heard of the East India Company? They controlled pretty much everything, and at the time, quinine was a crucial resource. We take it for granted now (it's in tonic water), but back then it was the only defense against malaria. Pulley's mastery of historical detail, her ability to weave it seamlessly into the plot without a bunch of info dumping, is a strength of Bedlam. Even when it's draggy, it's never dry. Unfortunately, it does get a bit draggy. I'm not sure if the plot really did run too slowly in the middle, or if it was just too familiar. There are many elements familiar from Watchmaker: a sort of awkward, sensitive male protagonist; a dangerous political game; an intimate friendship that develops between the protag and a man of another culture, a friendship that trends towards romance. It was a bit too much deja vu. And while too much of this carried over, too little of Watchmaker's beloved cast was featured--although this is a petty gripe, I just loved them so much. We do get a fabulous cameo that I'll keep to myself. Despite the too familiar scaffolding, the new elements in Bedlam create a rich, luxurious near-fantasy world that dazzles and delights. Pulley paints a jungle village in Peru with loving respect and care and a bit of magic: moving statues, glass towers that set the land aflame, forest secrets. The atmosphere she creates is palpable in its wonderment. My only worry is whether she trespasses on any myths sacred to the indigenous people, or falls too close to the line of stereotypical magical natives. It's a question I hope native readers will comment on in their reviews. The glue holding Bedlam together is Pulley's writing. So precise and clever! Such evocative descriptions! Such natural dialogue! The conversations between Merrick and Raphael, a Peruvian priest, are filled with cleverness and snark. Merrick's white friend and companion is a little bit of a caricature of colonialist bluster, but he also allows Pulley to unpack some of the crude assumptions that fueled British imperialism. All in all, Bedlam was an intriguing read with a deep sense of magic about it. Though it did not depart quite enough from Watchmaker's formula, its complex world and strong emotional beats make it a worthwhile endeavor. Bedlam Stacks is a sharply written adventure about love and sacrifice, with a little bit of magic. will i continue the series? I would like more Keita and Grace and Thaniel and Matsumoto, please.